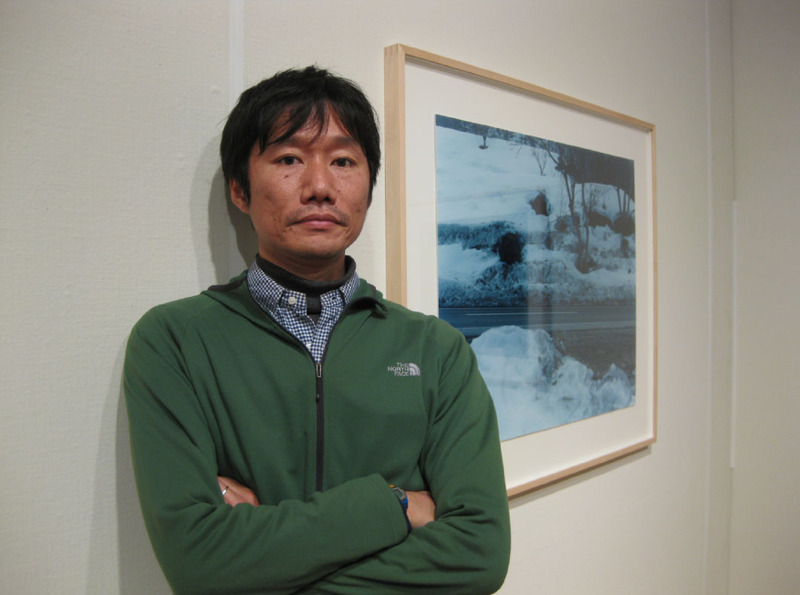 Tomoki Imai remembers well the turning point in his life when he decided to become a professional photographer. Already an aspiring film director at the Tokyo University of the Arts, the Hiroshima-native was turned onto the raw and trigger-happy cityscape and portrait snapshots of self-styled photo “genius” Nobuyoshi Araki. But unlike the flamboyant, outspoken media guru that inspired Imai (and generations of other wannabe-photographers at the height of the late-’90s digital-camera boom), Imai unleashed his equally eccentric creative drive with a much more low-key approach, capturing almost purposely, it seems, only the most conceivably mundane objects of daily life, be it trees, automobiles, concrete walls, forests or empty roads. Imai went mad with his newfound film medium, and less than four years after his graduation, spawned a debut book of color photos titled “Mahiru” or “In the Middle Of The Day” (Seigensha Art Publishing Inc.) in 2001. Despite the book’s title, the cover ironically depicted a hyper-lucid night shot of a guardrail lit by a lone street lamp. The book made him an instant sensation in Tokyo art circles, prompting further publications and numerous exhibitions across Japan and Europe. It’s often hard for the viewer to pinpoint exactly what Imai was aiming for after witnessing his nonstop outpouring of more desolate and deserted urban landscapes and nature this last decade. But one thing he does consistently manage to convey in these photos, is what could best be described as an invisible, yet almost palpable sense of energy that is projected from the void inside his photos. Imai, however, insists there’s no magic in his method. “I can’t deny there’s sometimes an energy or tension that draws me to certain places or objects,” says the artist, at the Meguro Museum of Art, where his latest works are on display. “But more importantly, I have this sort of notion that I’m trying to create an image that even I’ve never seen before. The visual artist’s latest works are currently featured in two Tokyo exhibitions this month. One, titled “Mental Map Studies,” is a 10-photo collection, part of the “Meguro Addresses: Artists in Urban Life” group exhibition, featuring seven cutting-edge artists and musicians currently residing in Tokyo’s Meguro Ward. 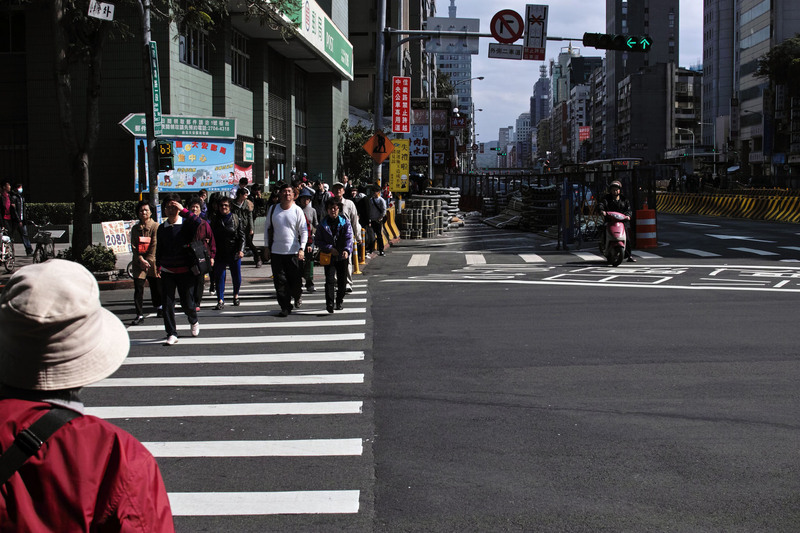 The other is a solo exhibition “Mapping Taipei,” which showcases Imai’s photo-explorations of the East-Asian metropolis, starts tomorrow at Epsite (Epson Imaging Gallery) in Shinjuku. “Mental Map Studies,” perhaps, provides the broader initiation into Imai’s signature style, showcasing his impeccable use of natural light on urban landscapes and the artist’s other familiar themes such as forests and trees. The exhibition also reflects recent developments in the photographer’s personal life. 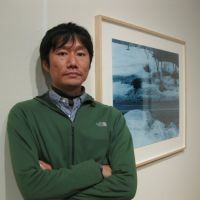 Prompted by the devastation of the March 11 earthquake last year, Imai felt spurred on to create work that not only satisfied his own artistic whims (he actually drove inside the 20-km Fukushima radius last April to take photos of the radiated area), but that also directly helped others in need: Last fall, he obtained a license to become a “guide-helper” for the blind. The tall, soft-spoken artist takes photos “the old-fashioned way.” For Imai, this usually entails sitting for hours on end in the same position, with a large-format camera equipped with a 1940s American lens and a tripod, waiting for that elusive moment when the perfect mixture of light and darkness provides the backdrop for that singularly fantastic snapshot. It’s this painstakingly orthodox and patient approach to shooting, combined with an equally alchemic touch in the darkroom that transforms the most mundane scenery into the breathtakingly haunting, ethereal artwork that the artist has become known for. While “Mental Map Studies” presents Imai doing what he does best — shooting and printing the traditional way — his 25 photographs featured in “Mapping Taipei” are 100 percent digitally-produced. A collaborative effort between Epson and Sigma, “Mapping Taipei” sent Imai on a four-day photo assignment to capture the Taiwanese capital using just a single Sigma SD1 digital camera and an Epson printer. Says Imai on his latest venture: “The last thing I wanted was to create a travelogue. 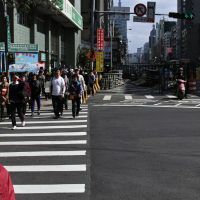 He chose to randomly follow Taipei citizens throughout the city and shoot from behind, their daily (and often humdrum) routines. For the average Imai fan, it is certainly a fresh, if not strange sight to witness the presence of humans -and so many of them at once — in his usually uninhabited landscapes (the only previous photo that comes to mind is that of a Noh dancer — and that depicted his backside). These two concurrent exhibitions show that Imai is one of those rare photographers capable of delivering a significant visual statement, in either digital or analog formats. But with all the high-tech camera gadgetry available on the market today, couldn’t anybody with a reasonable sense of aim and composition, take a professional quality snapshot? If so, what separates a good photograph from a work of art? “Mental Map Studies” at the Meguro Museum of Art runs till April 1; open 10 a.m.-6 p.m. ¥700. Closed on Mon. www.mmat.jp. “Mapping Taipei” at the Epson Imaging Gallery (at Epsite in Shinjuku) runs from Feb. 17 to March 1; open 10:30 a.m. to 6 p.m. (March 1 till 3 p.m.). Free admission. Closed Sun. Imai will give a one-hour talk session at Epsite on Feb. 25 from 2 p.m. to 3 p.m. www.epson.jp/epsite/access. For more information on Tomoki Imai, visit www.imaitomoki.com/home.